chilli paneer gravy recipe | easy paneer chilli with gravy recipe with detailed photo and video recipe. a popular indo chinese street food of india which is mainly served as a side dish to indo chinese rice recipes. 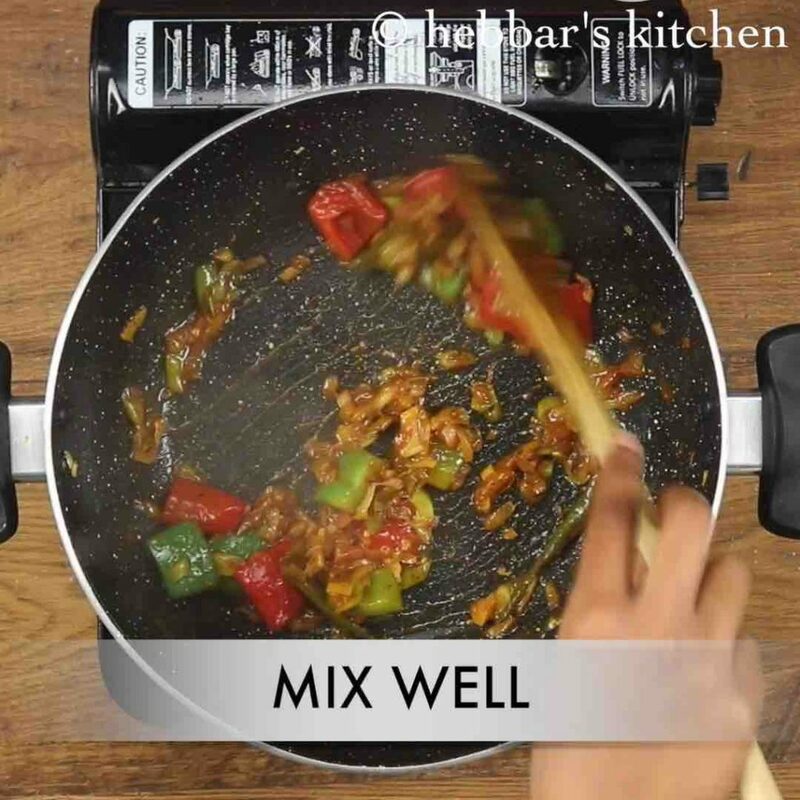 chilli paneer comes with comes with 2 variants i.e gravy and dry version and gravy version can be served as starter recipe or as side dish recipe. chilli paneer gravy recipe | easy paneer chilli with gravy recipe with step by step photo and video recipe. typically any indo chinese gravy recipes are prepared as side dish for fried rice or veg noodles recipe. but paneer chilli with gravy is something which is mainly shared as appetiser or starters, but can also be extended as side dish too. i have shared the dry version of paneer chilli which is prepared with very similar ingredients like corn flour and paneer. however as the name suggests, this recipe comes with more sauce or gravy. hence more frequently it is even served as curry to roti’s and chapati’s and not just limiting as starters. 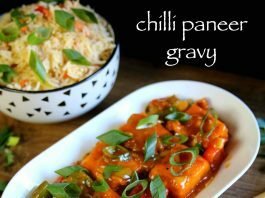 having said that, i choose chilli paneer gravy recipe only as side dish to my chinese fried rice or noodles recipe. personally i do not prefer any indo chinese starters and i always fall back to paneer tikka or any other punjabi cuisine starters recipe. 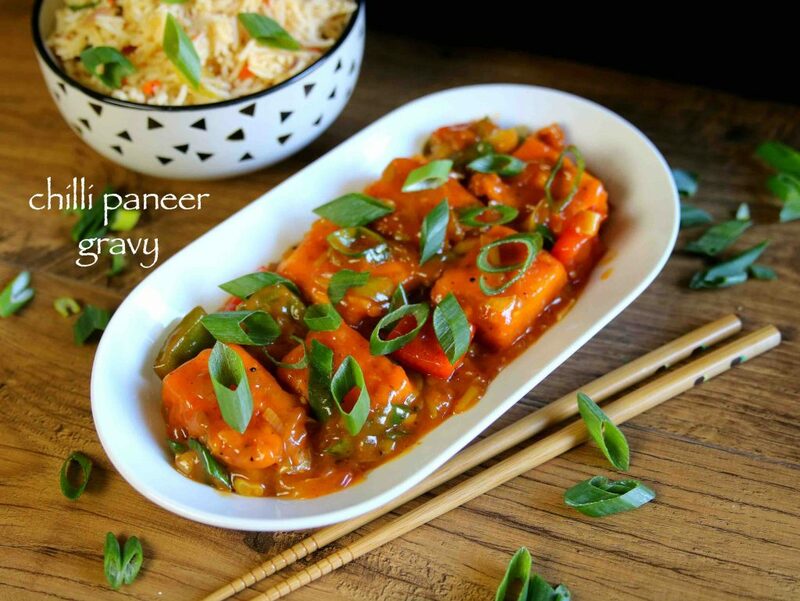 furthermore some important tips and suggestions to make perfect chilli paneer gravy recipe. firstly, i have used homemade paneer to prepare this recipe, and hence my paneer was fresh and moist. you can use store bought paneer to, but ensure it is fresh and not dry. 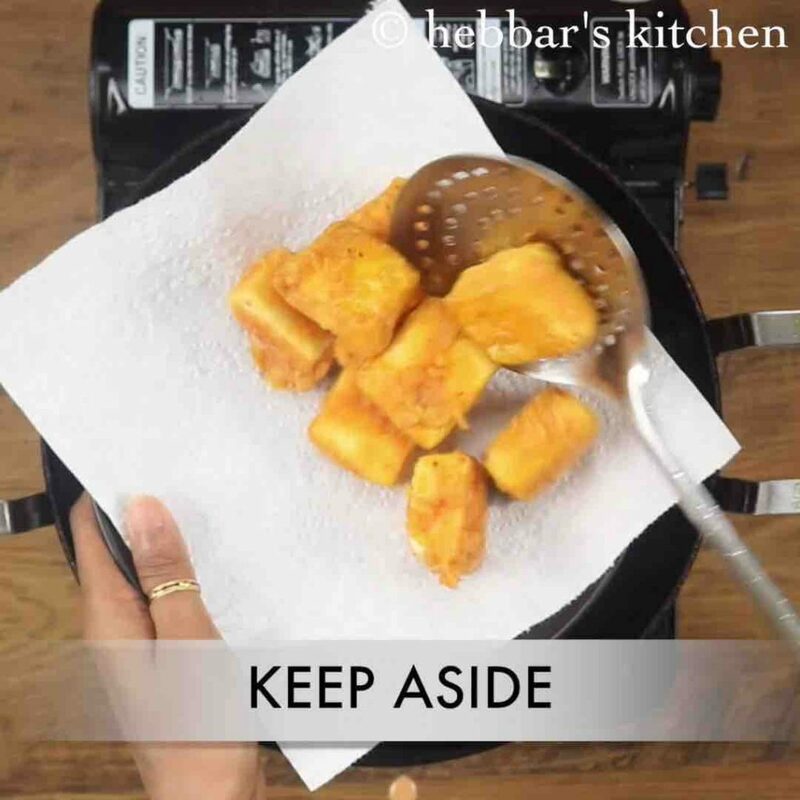 secondly, i have deep fried the paneer cubes with corn flour and maida flour paste. 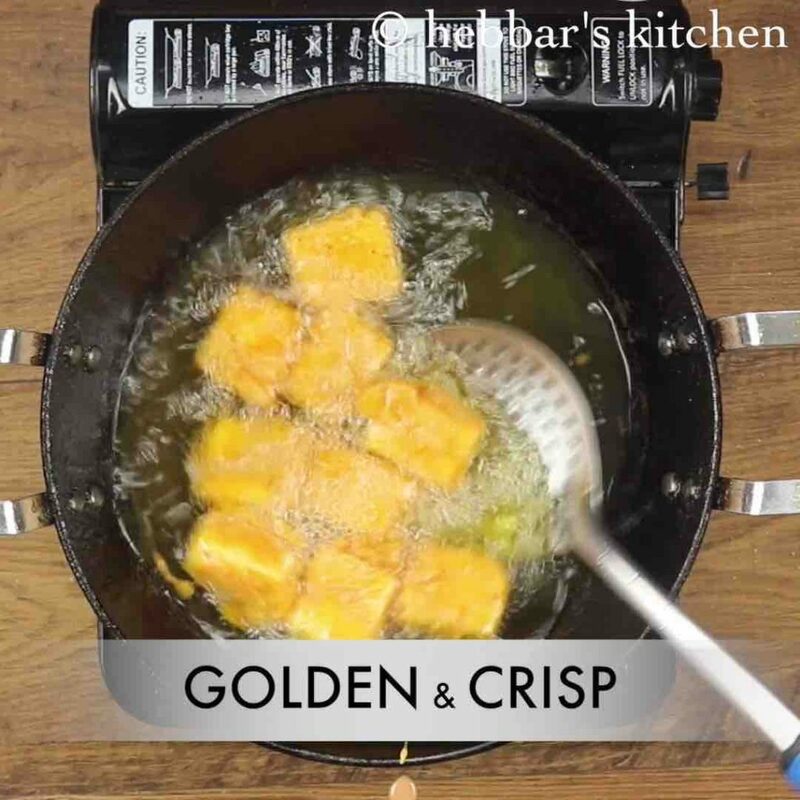 alternatively you can pan fry the paneer cubes till crisp. lastly, i have added chilli sauce to make spicy which you can replace it with tomato sauce to make it less spicy. firstly, prepare corn flour batter adding spices. further dip cubes of paneer / cottage cheese and deep fry in hot oil. 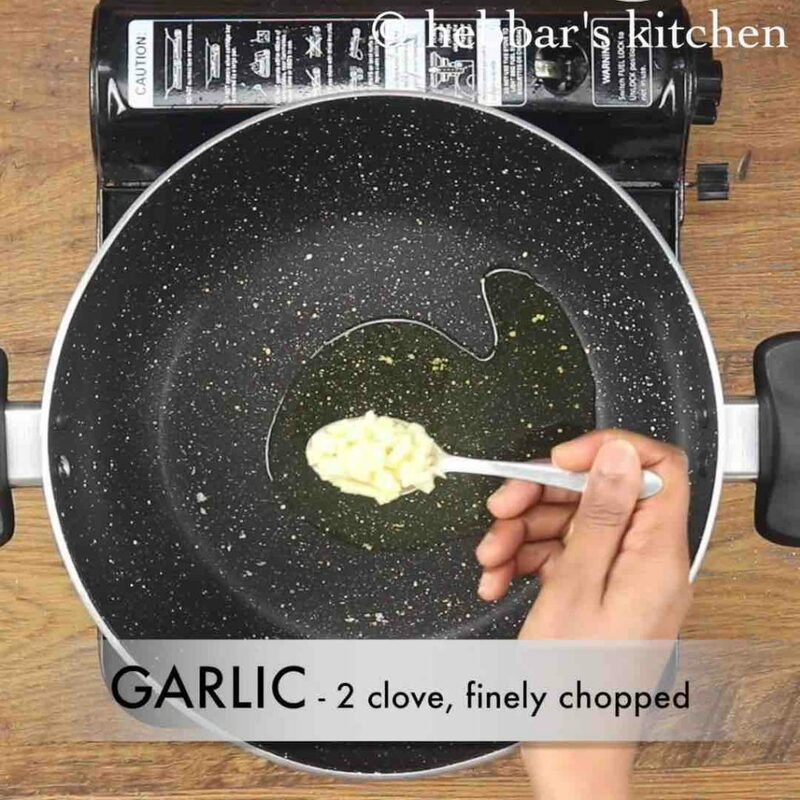 fry the paneer till they turn golden and crisp. 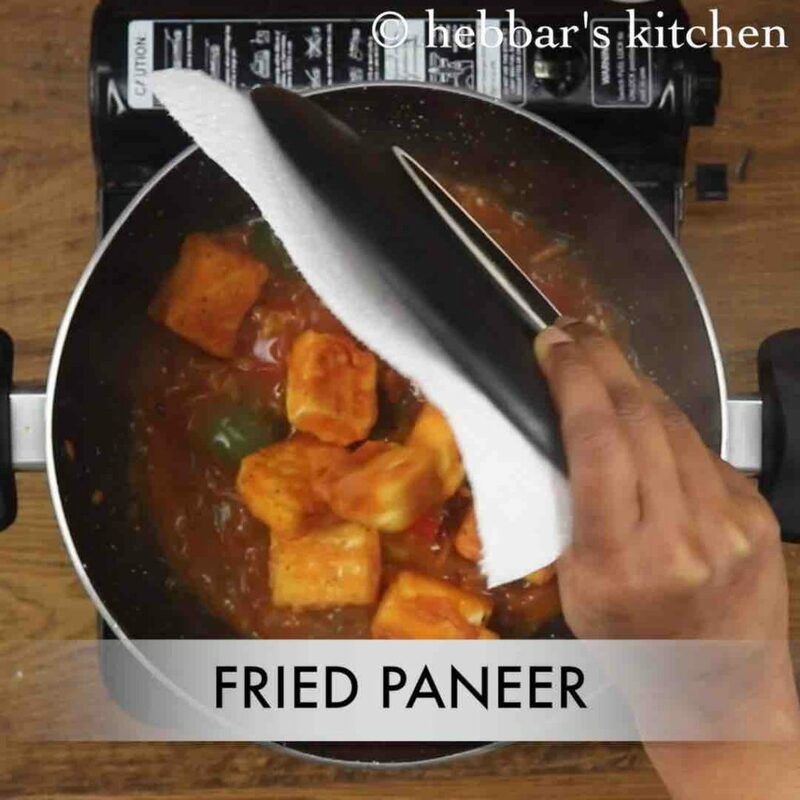 drain off the fried paneer onto a kitchen paper and keep aside. prepare the the gravy by heating 4 tsp oil and saute 2 cloves garlic. 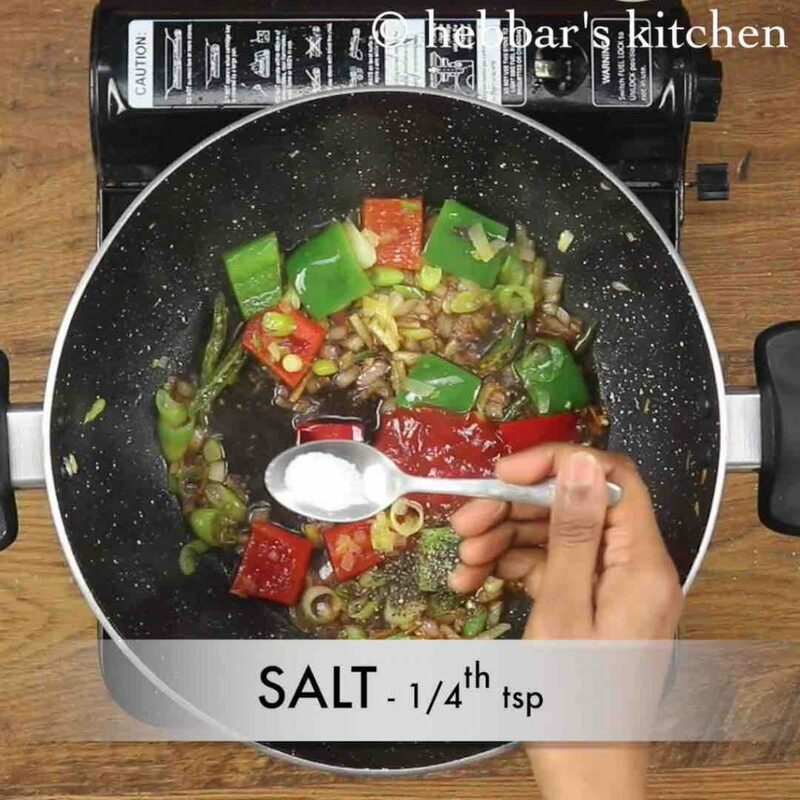 also add 2 tbsp spring onion, 2 tbsp onion and 2 green chilli. saute well. 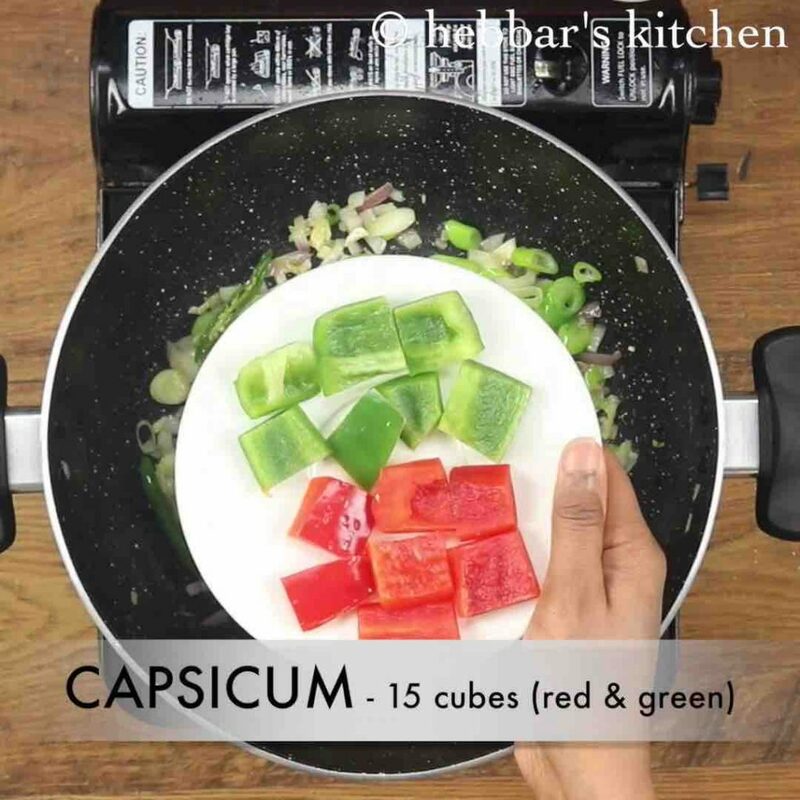 furthermore add ½ capsicum (green & red) and saute slightly. additionally, add 2 tbsp vinegar, 2 tbsp soy sauce, 1 tbsp chilli sauce, ¼ tsp pepper and ¼ tsp salt. saute on high flame till the sauce thickens. pour the corn flour water and stir continuously. finally, serve chilli paneer gravy recipe garnished with few chopped spring onions along with fried rice. 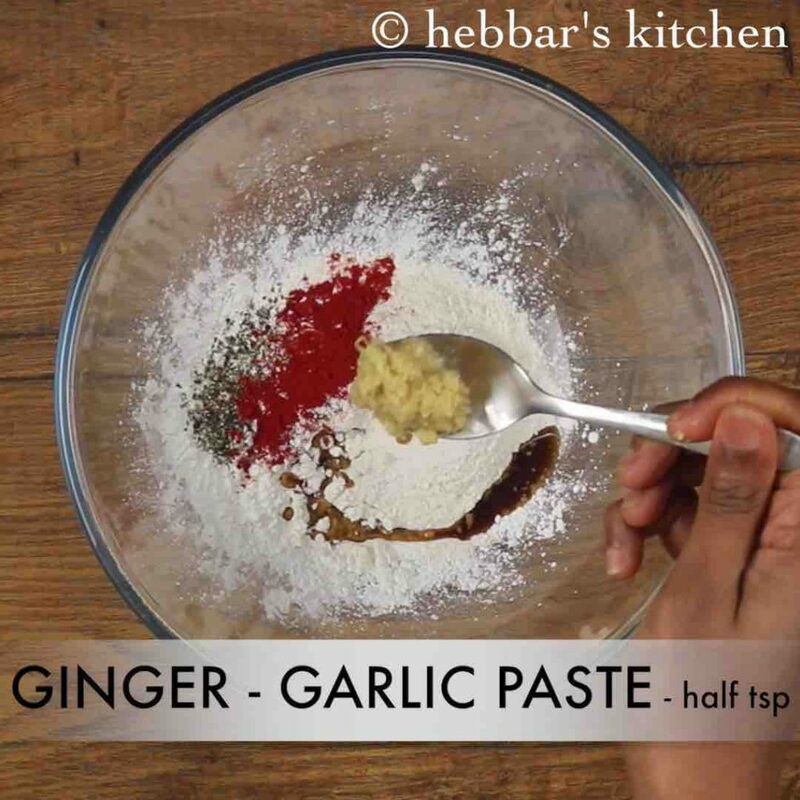 firstly, in a large mixing bowl add ¼ cup corn flour, ¼ cup maida, ½ tsp pepper, ½ tsp chilli powder, 1 tsp soy sauce, ¼ tsp salt and ½ tsp ginger-garlic paste. 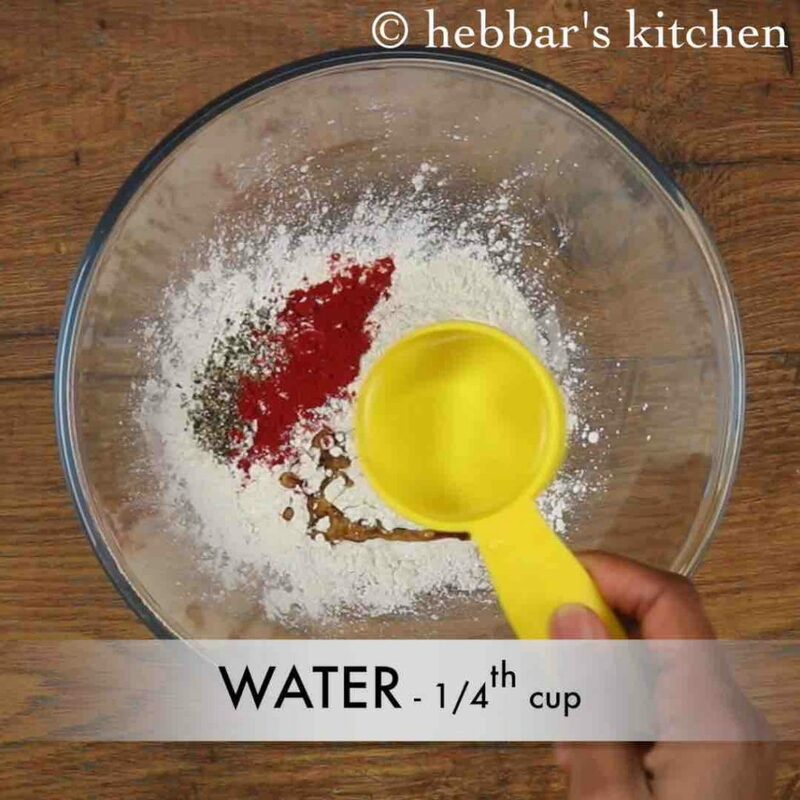 add ¼ cup water and prepare batter. 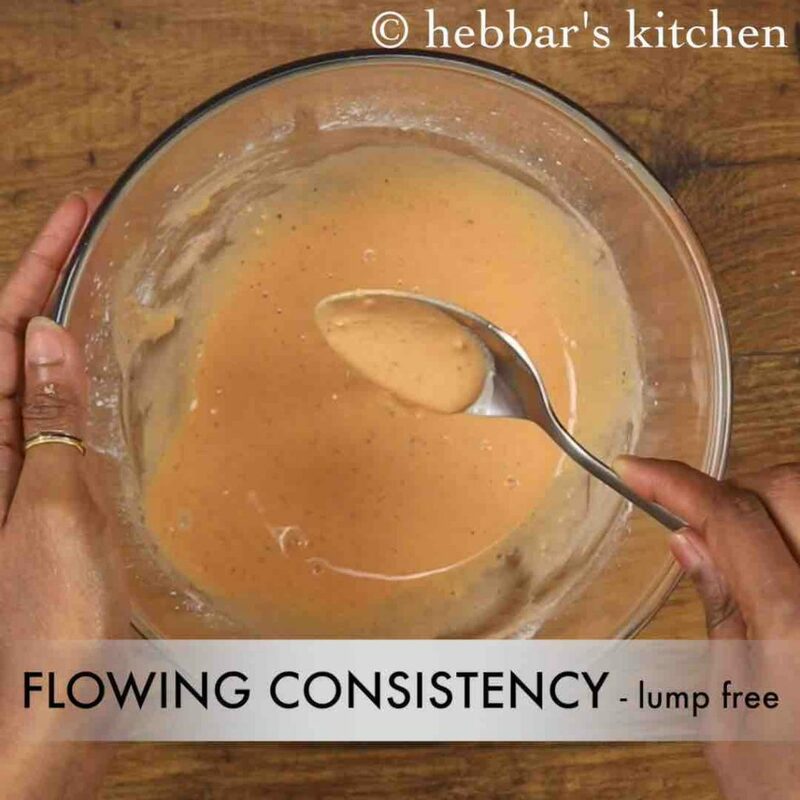 prepare a smooth, lump free and flowing consistency batter. further dip 9 cubes of paneer / cottage cheese into batter and coat. now prepare corn flour water by dissolving 1 tbsp corn flour in 1 cup water. 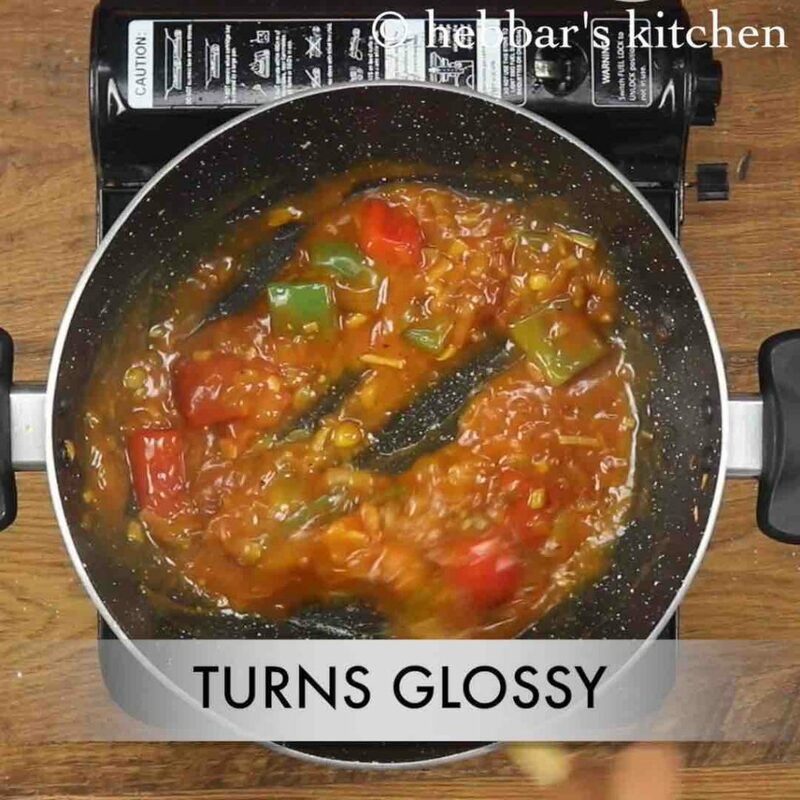 pour the corn flour water and stir continuously till the gravy thickens and turns glossy. 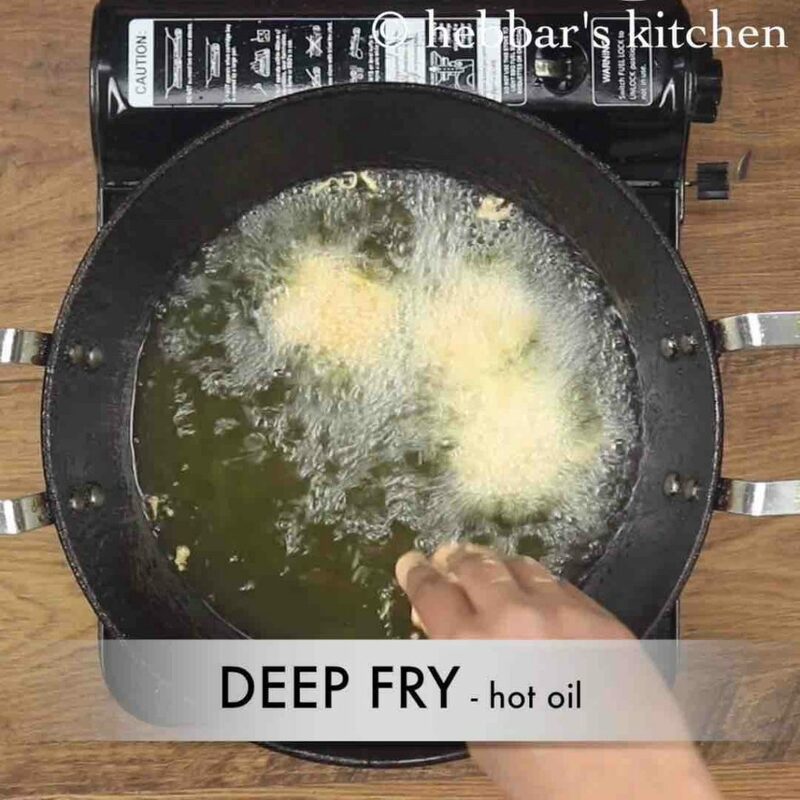 turn off the flame and add in fried paneer. mix well till the paneer gets coated well with gravy. 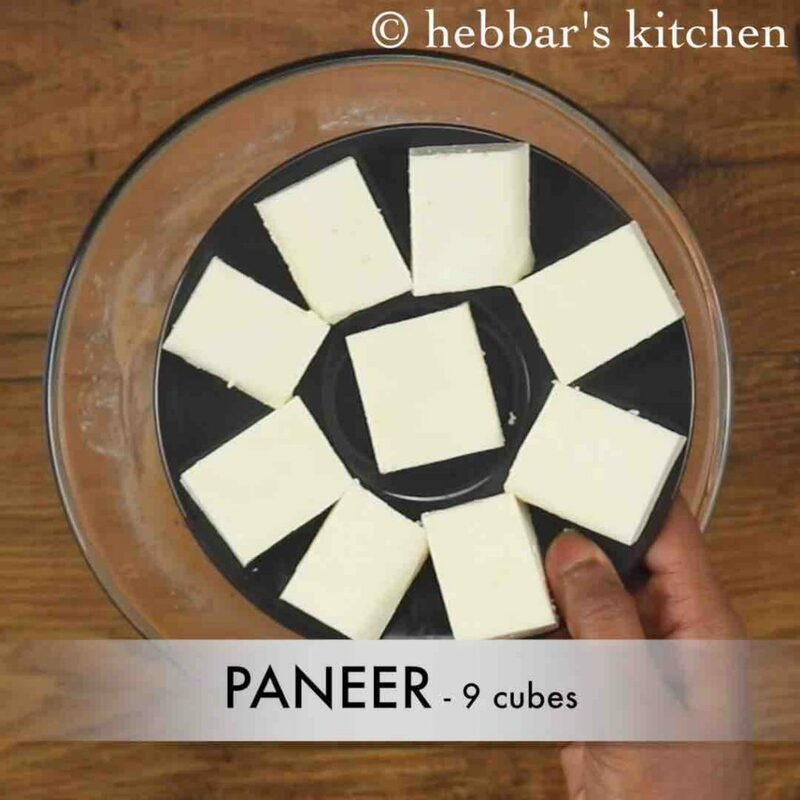 firstly, cube the paneer or cut the panner of to the shape of your choice. 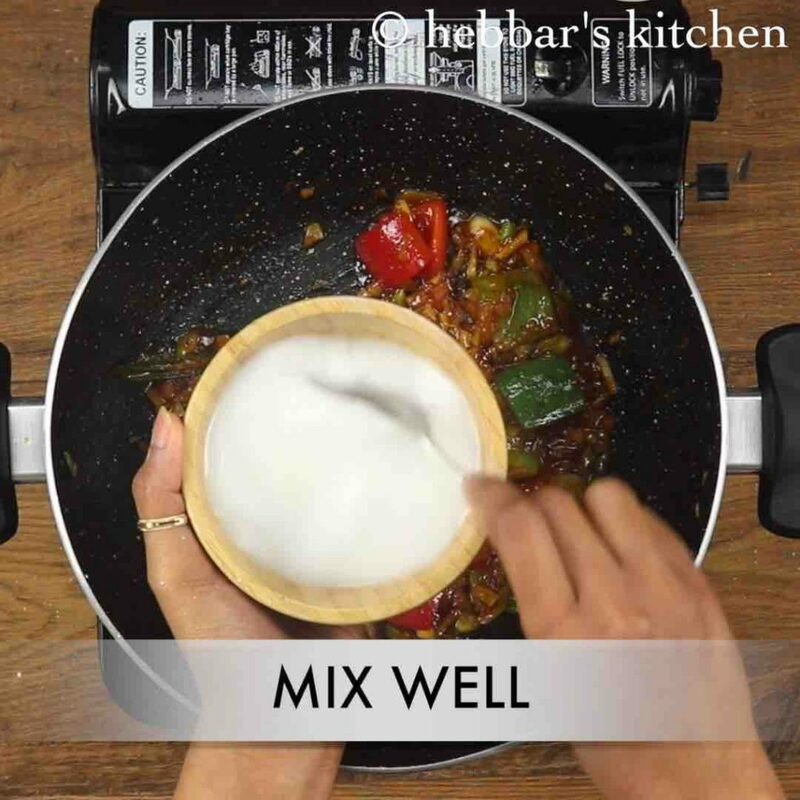 also, to skip the corn flour water adding to gravy if youare looking to prepare chilli paneer dry recipe. 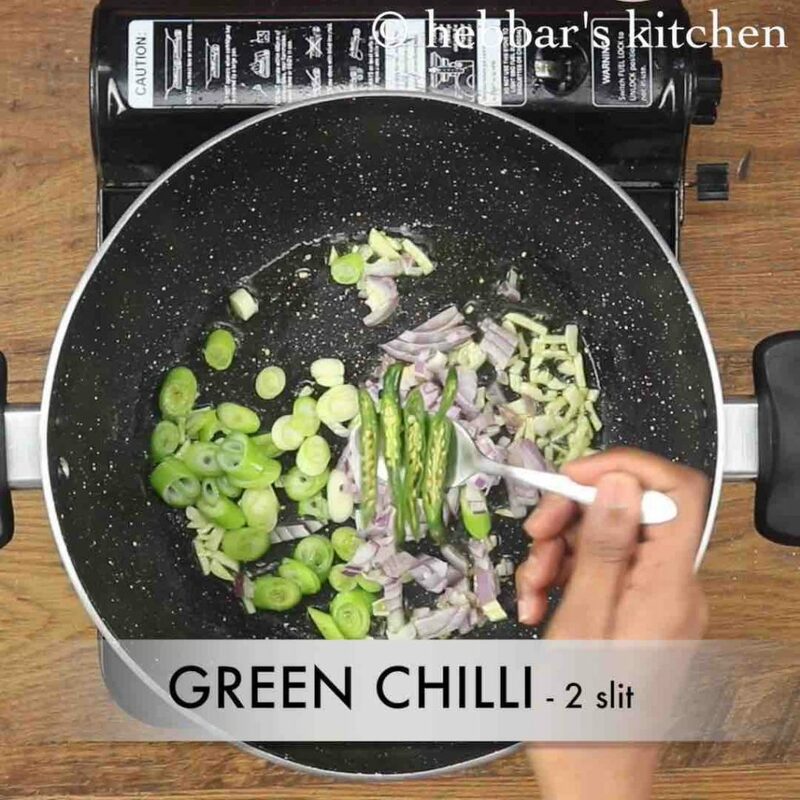 additionally, adjust the green chilli depending on the spice level. 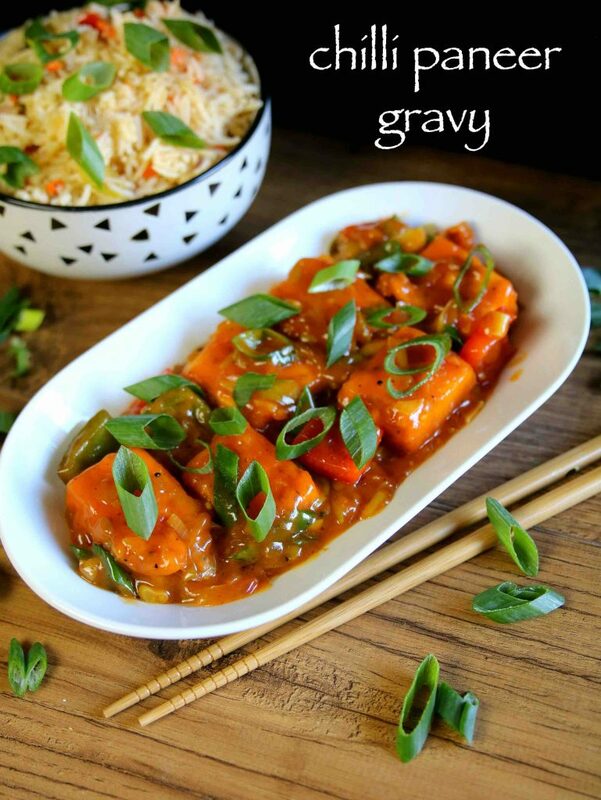 finally, chilli paneer gravy recipe can be shallow fried, pan fried or deep fried.